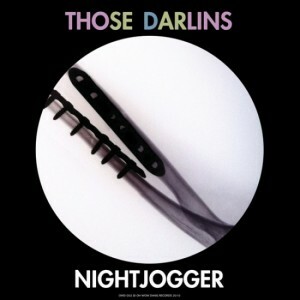 A band releasing a single to tide fans over between full length albums; what is this, the 70’s? 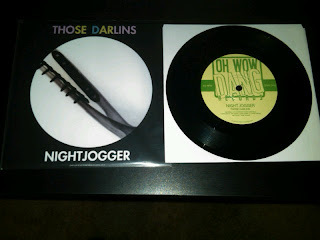 In conjunction with Oh Wow Dang Records and the folks at Record Store Day, local Murfreesboro, Tennessee favorites Those Darlins have put out a 7” single entitled “Nightjogger.” In keeping with their spunky attitudes and lo-fi southern garage rock approach, “Nightjogger” is a short and sweet minor-key opus to…well, jogging at night. Seriously, no metaphors or pretenses here. Shorts on, hair pulled back, headband, Walkman; the checklist is right there in the first verse. “Nightjogger” has a really cool groove to it and they somehow pull off the phrase “feel the burn” in the bridge without it sounding like a cheesy 80's work out video. That takes some talent and moxie folks! So jog on down to your local independent record store, pick it up and don’t forget to breathe!